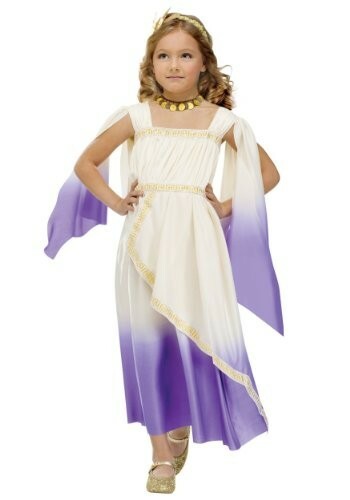 She'll feel ready to change the world in this goddess costume from Fun World! 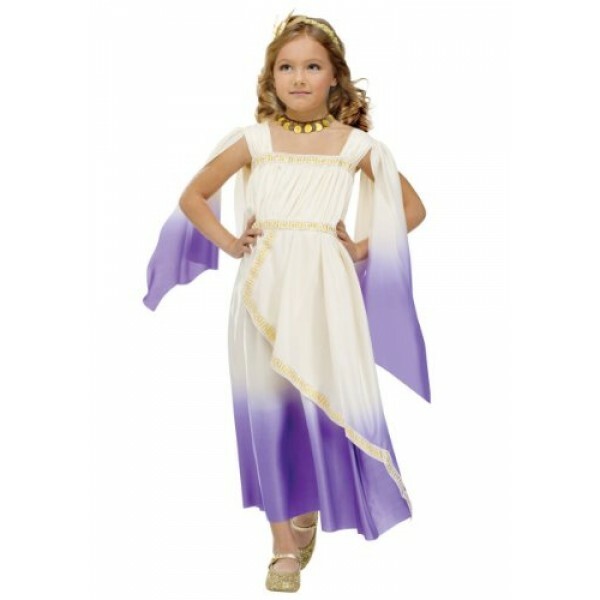 This 100% polyester interlock dress features an orchid ombre detail and gold Greek key trim. Elastic at the neckline and the back of the waistline help it fit properly! The set includes a gold leaf headband; please note: jewellery and shoes not included.